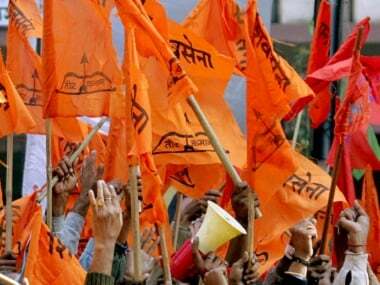 Mumbai: The Shiv Sena, a key member of the ruling NDA government at the Centre and long-time BJP ally, Saturday protested in parts of the city against inflation and the rising prices of petrol and diesel. 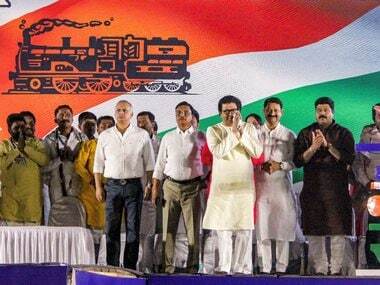 MPs, legislators and corporators belonging to the Sena took part in the protests at several places, including Bandra, Borivali, Chembur and Chhatrapati Shivaji Maharaj Terminus (CST). The protesters shouted slogans against Prime Minister Narendra Modi and the BJP-led governments at the Centre and in Maharashtra. 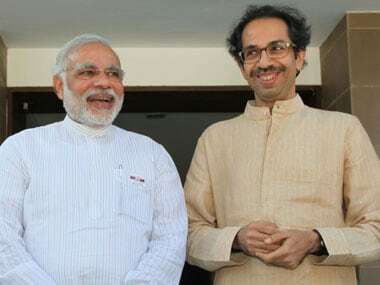 The Sena also threatened to launch a nation-wide stir if fuel prices were not brought down. Rajya Sabha member Anil Desai said party MPs and MLAs have time and again brought to the notice of the prime minister and Chief Minister Devendra Fadnavis the perils of inflation and the sky-rocketing prices of petrol and diesel. Desai told reporters that the people had become disappointed due to inflation and everything had become unaffordable for them. The government has forgotten that it had defeated the Congress after committing itself to the poor and the middle class, he said. "Under the leadership of Uddhav Thackeray, we have decided to raise our voice against the injustice being meted out to the poor. If the fuel prices don't go down soon, there will be a nation-wide stir against this government," he added. 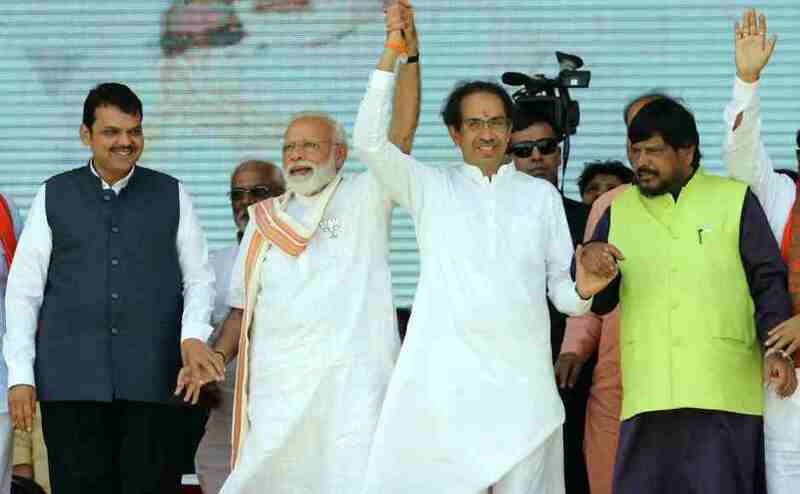 Sena's Lok Sabha member Arvind Sawant, who also took part in the protests at CST, said the BJP-led government is taking decisions arbitrarily, without taking its allies into confidence. "Today, the government is taking decisions without taking anybody into confidence. 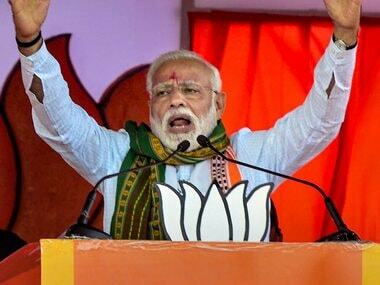 Modi should go through the speeches he delivered before becoming the PM, when the fuel prices went up during the Congress rule," Sawant said. "Likewise, Union ministers Smriti Irani and Rajnath Singh should also be shown their speeches made before the BJP came to power. All of them had hit the streets. Today, the prices of crude oil globally are far less than before, yet the fuel rates here are going up," he added. In a veiled attack on Union minister Alphons Kannanthanam, who had defended the fuel price hike, Sawant said, "One of their ministers shamelessly insults the people and rubs salt on their wounds. We want to know if this is the 'acche din' promised by them." Kannanthanam, who was recently inducted into the Union council of ministers, had said, "Who buys petrol? Somebody who has a car or bike. Certainly he's not starving. People who can afford to pay should pay." Meanwhile, criticising the Sena over its protests, BJP leader Ashish Shelar said, "These people came to power due to (PM Narendra) Modi ji. They are sitting in power, yet raising slogans against Modi ji."